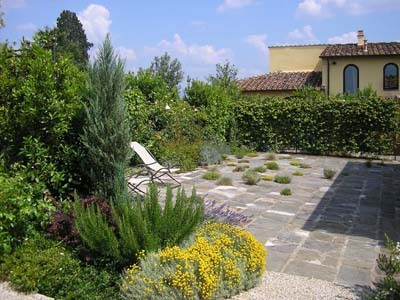 The Design Courses are offered to those who have not followed specific garden design courses but who would like to design and execute a terrace or a garden on their own. Besides a basis of introductory theoretic lessons and design exercises, there are also visits to nurseries, gardens and other sites. Each course lasts 12 weeks, with lessons of 4 hours each, mainly in the mornings, five times a week, for a total of 240 hours. Though classes are held mainly in Italian, on request, we can organise lessons in English. To ensure a good teaching level and personal attention the maximum number of participants is limited to 20.